More than 80% of the second language learners in the U.S. are Spanish speaking. In order to succeed in school and beyond, these students need to learn English. 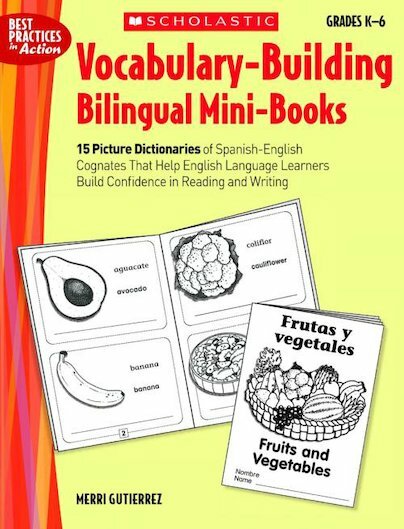 This book begins with a snapshot of the research showing the benefits of teaching with cognates—closely-related words from different languages, such as lemon and limon—for students who are learning English. Putting this research into practice is made easy with the accompanying mini-cognate dictionaries that are flexible enough to use across grade levels. For use with Grades K-6.